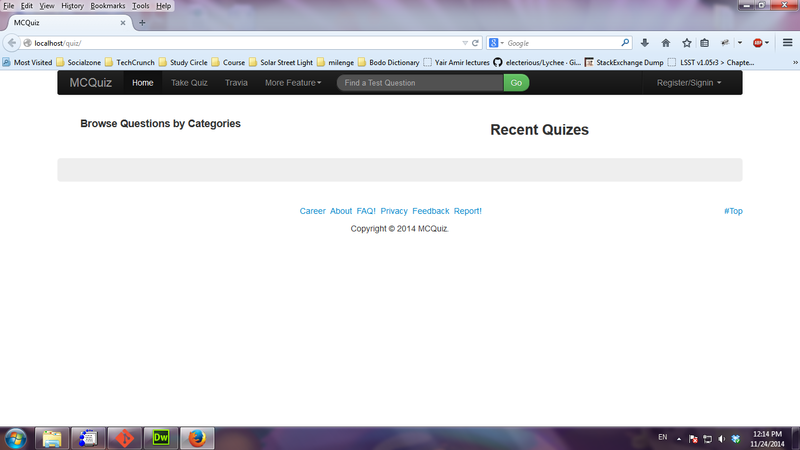 MCQuiz meaning Multiple Choice Quiz is a PHP based design for website in pursuit of Quizing platform. Most of the time if it is required to test your candidate for eligibility for a particular job, Multiple Choice type question is best for that purpose. Because you can ask so many question for a specified amount of time. This small piece of code was written by Sanjib Narzary for the purpose to conduct a codester during Ecstasy 2014 at CIT Kokrajhar. Now the entire code is available for free at github. You can find the hosted quiz at http://quiz.gitspot.com for reference or demo. 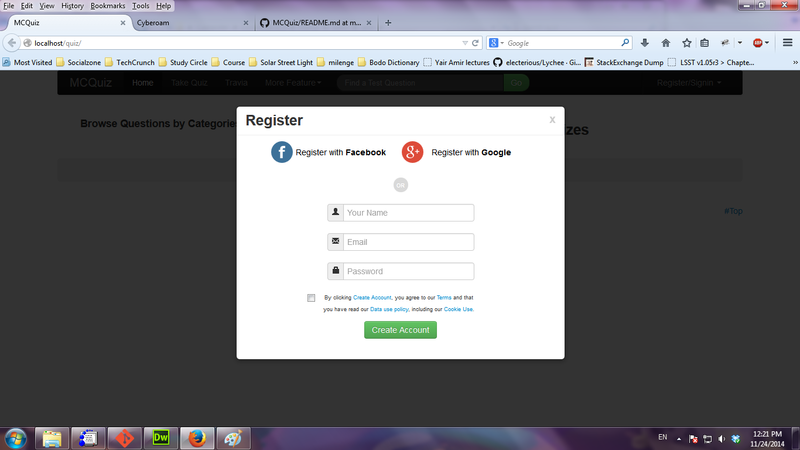 Social Logins will not work by now.